Peak events can account for 50% or more of annual online sales. Whether you're preparing for Cyber Monday, Mother's Day or Back-to-School shopping, advanced preparation is the key to a happy and prosperous season for you and your customers. 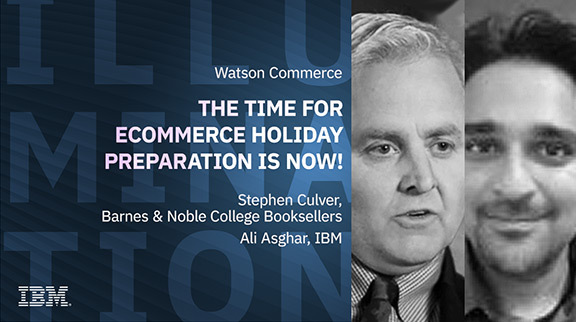 Join our webinar to hear how Stephen Culver, CIO Barnes and Noble College Booksellers, and his team prepare for their peak sales period: the start of the college school year. You'll also hear from IBM Commerce experts about peak season risks, areas that online sellers often overlook and what you can do to be prepared in 2018.